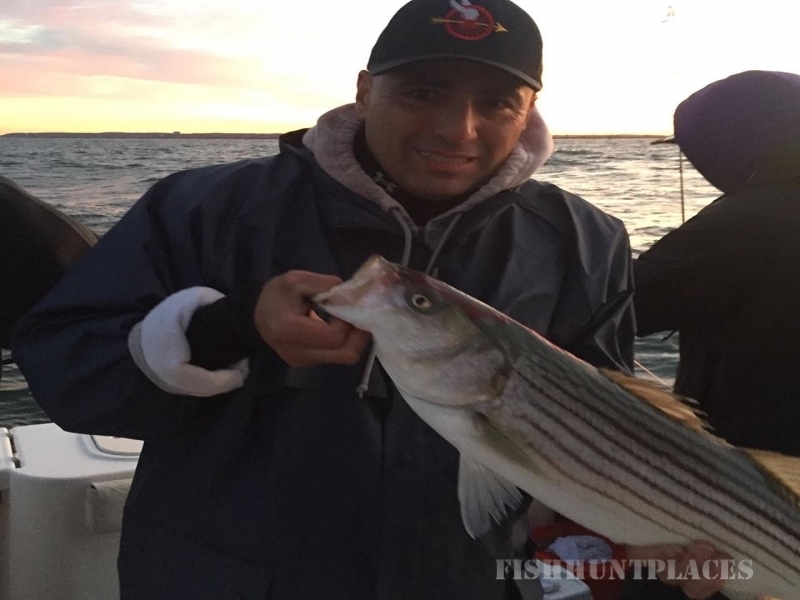 Striper fishing in the Hudson River is best experienced in the spring when the stripers enter the waterway to spawn. They feed on Blueback Herring which appear to be their favorite choice of food. The herring also provide a natural bait for the anglers on the River. Fishing usually begins in the last week of April and continues until the end of May. The most success is generally to be had bait fishing. We fish the Hudson River from Albany to Kingston, NY. 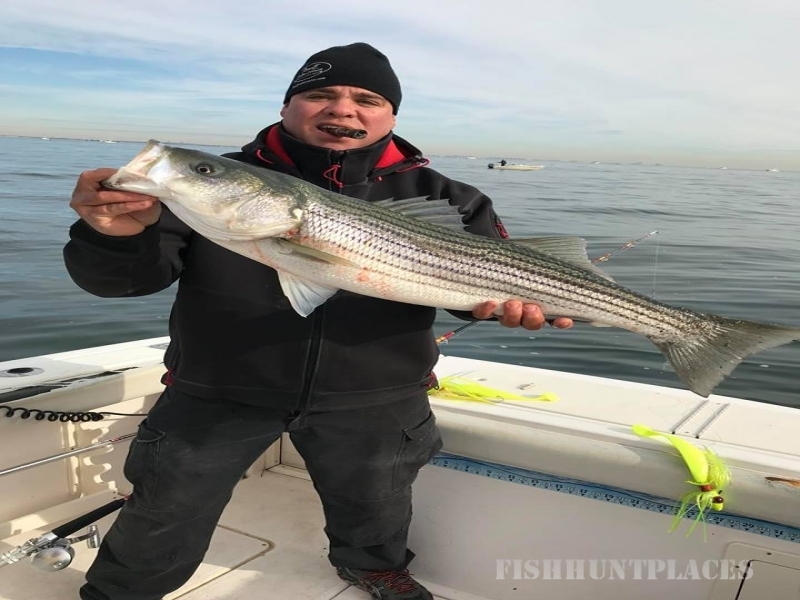 Please check out our Photo Gallery to see the quality of the Stripers that we are catching in the River and view our recent Testimonials. 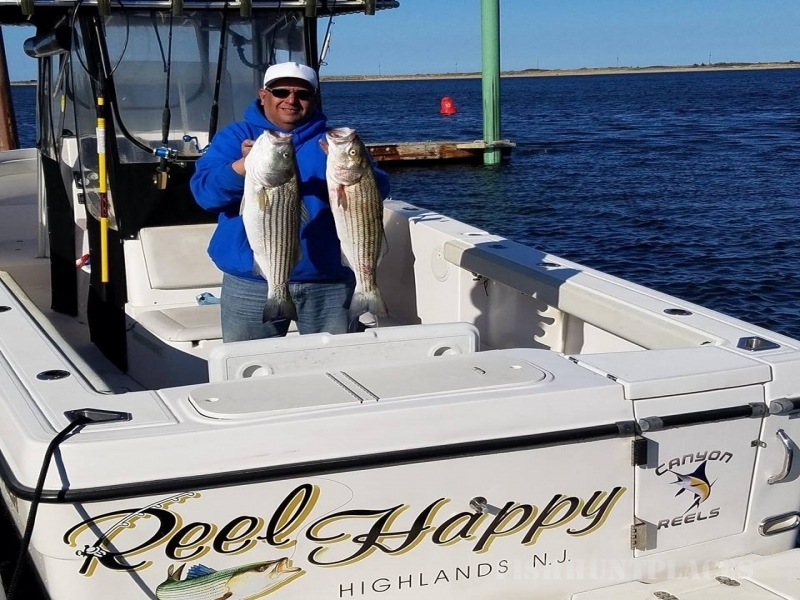 These are world class Stripers!!! The majority of them are large pre-spawn females that will be depositing millions of eggs in the River before moving back into the Atlantic Ocean to continue their Spring migration. These fish range in size from 30-40+ inches and 20-35+ lbs. 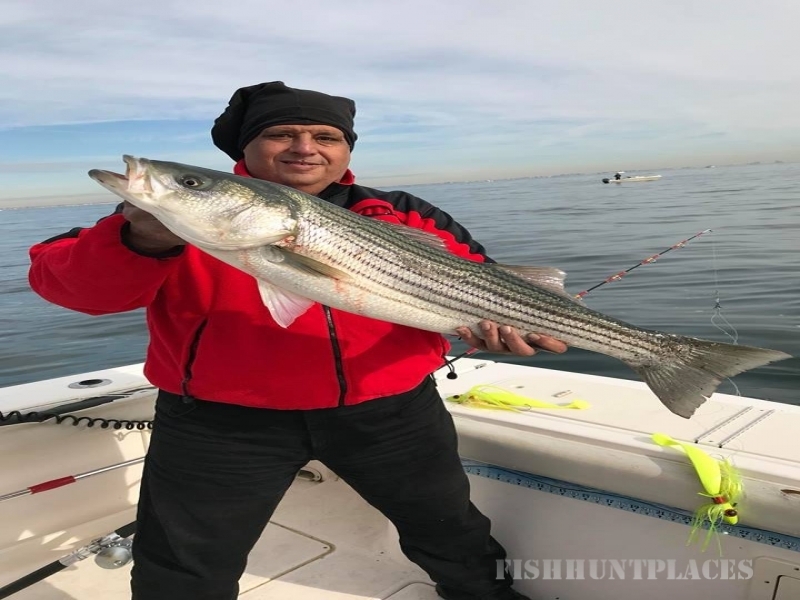 Striper Fishing primarily runs from late April through May. 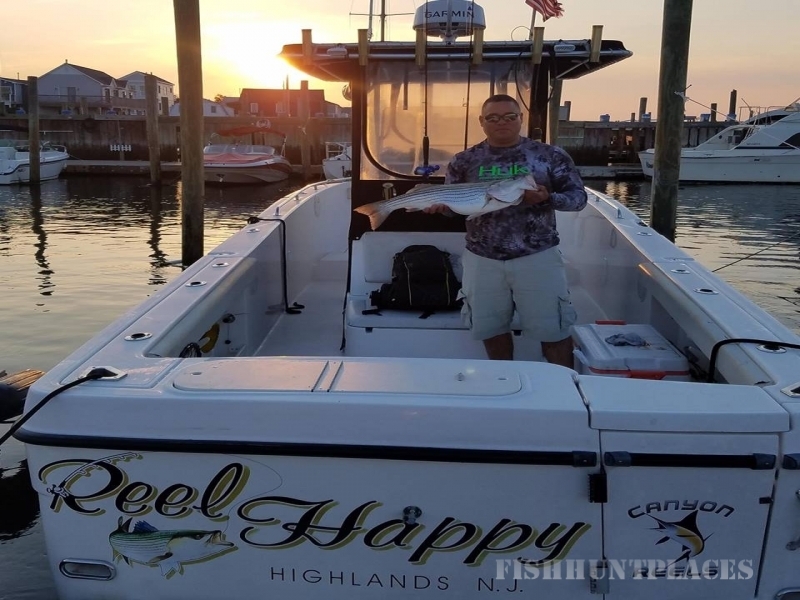 Reel Happy Charters as been developing fly fishing opportunities on the river for stripers in the spring, and small mouth and large mouth bass from June through late October. Fly fishing on the Hudson is an undeveloped resource since most anglers use conventional tackle to fish for these three species. This fishery provides a great opportunity for the fly anglers to ply their trade in the land of Rip Van Winkle.